The team of Associated Accountants is devoted to delivering service with a high level of personal attention. Our reputation is based on the quality and integrity of our core people to deliver outstanding professional services. Homod is the managing Partner of the Firm and he has been leading the firm development since 1996 through a strategy that makes the client satisfaction and the client service proximity as the focal point. Homod is a member of the Saudi Arabia organization of Certified Public Accountants (SOCPA). Homod started his career as a financial controller in the manufacturing group in 1981 and promoted to finance Manager in 1986, in 1994 Homod moved to public accountancy though his private practice. Hamud's work experience has covered a wide range of activities including the provision of audit, tax and business advice to both family owned & owner managed clients. 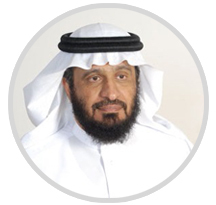 He has extensive knowledge of the business, legal and economic environment in Saudi Arabia. During the past twenty years, Homod experience covered a wide range of industries including manufacturing, health care, transportation, general trading, hotels and food services, automotive, contracting and services. Member of Saudi Organization of Certified Public Accountants (SOCPA). Judicial arbitrator - licensed in Jury's judicial Saudi. 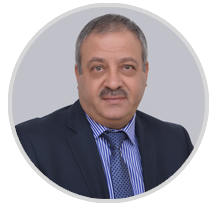 Hasan is the Executive Director of Associated Accountants; He has over 30 years of vast and varied experience including exposure to external auditing, internal auditing, tax & advisory, corporate finance services including M&A services. He worked with a big 4 firm between 1980 & 1984 before he moved to the finance field and joined a top middle east retail operator as financial controller. Hassan's experience covered a wide range of industries including manufacturing, oil production, oil refining, banking, automotive, insurance, contracting and services. Ayman Othman is an Senior Manager started his career with Associated Accountants as staff audit in 2006 and he was promoted to several posts till he reached Senior Manager in 2014. Ayman’s comprehensive knowledge covers major professional services including assurance, advisory and Tax. He served on various engagements including manufacturing, contracting, trading, investments, insurance and banking. Master in Finance from University of Sterling, UK. Member of the American Institute of Certified Public Accountants (AICPA). 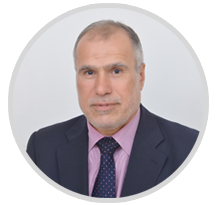 Foad Hashim is an Audit Manager and he is one of the longest service records with Associated Accountants. Foad has a wide range of experience in various industries, including farming, retail, trading, real state, healthcare and manufacturing. Graduated from Ain Shams University - Faculty Of Commerce Cairo, Egypt. 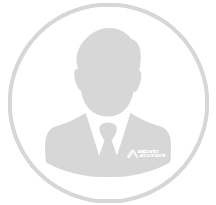 Mohamed is an Audit Manager at Associated Accountants. 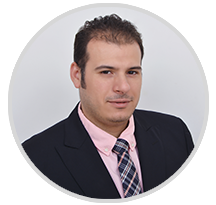 Mohamed has 17 years of experience at across various industries. Mohammed served on various engagements including manufacturing, contracting, trading, investments, insurance and banks. Mohamed has decent experience in IFRS, International and local GAAS audits. 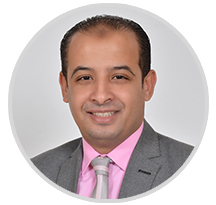 Mohamed has lead several IFRS adoption & conversion projects for local listed & listed companies. Mohamed has a decent exposure to audit and accounting issues both locally and internationally. Mohamed has participated in several VAT implementation projects.